“It is a form of elder abuse,” remarks Connecticut’s Senator Richard Blumenthal. 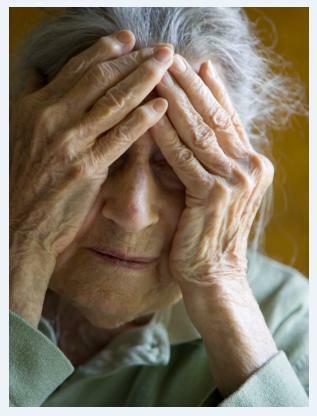 “It’s chemical restraint – no less pernicious and insidious than physical restraint of patients – and it should be stopped.” The “chemical restraint” Blumenthal refers to is the practice of prescribing antipsychotic drugs for agitated or confused dementia patients in nursing homes and long-term care facilities. This type of “off-label” use has not been approved by the FDA as these drugs can cause excessive sedation and unresponsiveness. Experts agree prescribing these off-label drugs can even increase the risk of stroke and death in fragile patients. During a recent press conference, Blumenthal announced he has introduced a bill to crack down on the overprescription of antipsychotic drugs for dementia patients. Advocates for the elderly have also formed a coalition to reduce this type of “chemical restraint” by 15 percent. A regular routine is very important for dementia patients. ClearCare’s homecare software is the easiest way for caregivers to stick to a set schedule. Blumenthal’s bill will require consent from family members if antipsychotic drugs are going to be used on their loved ones. ClearCare’s homecare system also mandates good communication between care providers and family members. When caregivers update their homecare software with completed daily activities, family members that have access to ClearCare’s web-based homecare system will be able to see these updates in real-time. In addition, homecare agencies that use ClearCare’s homecare system can match dementia patients with appropriately trained caregivers. When a caregiver’s certifications are up for renewal, ClearCare’s homecare system will automatically notify the caregiver as well as agency administrators. With disturbing practices like “chemical restraint,” it’s questionable whether nursing homes are the best choice for dementia patients. If you have a loved one with dementia, ask a ClearCare representative how homecare software might make care at home possible for your loved one.